Daily Rain in the amount of rain that has fallen for a given day. It reset to 0 at midnight local time. Rain is liquid water that precipitates or falls from the sky. Rainfall and water quality can be directly related. 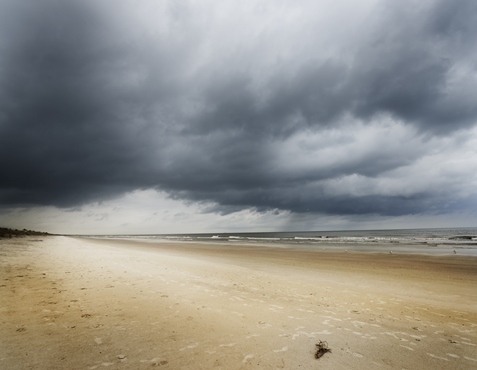 Large rain events can lower salinity levels. This can happen on a small local scale, such as when runoff from a small stream enters a bay or on much larger scales such as when the Caloosahatchee River discharges large volumes of runoff. In addition to lowering salinity the runoff is usually high in CDOM. Evaporation: When the sun heats water in rivers, lakes or oceans it provides enough energy to allow it to transform form a liquid to a vapor. This water vapor then rises and in the process cools down. Condensation: The process in which the water vapor turns back into a liquid. These tiny water droplets merge together and form clouds. Precipitation: When rain (or snow/sleet/halt) falls from the sky back to earth. This occurs when the weight of the condensed water become more then the air can support. 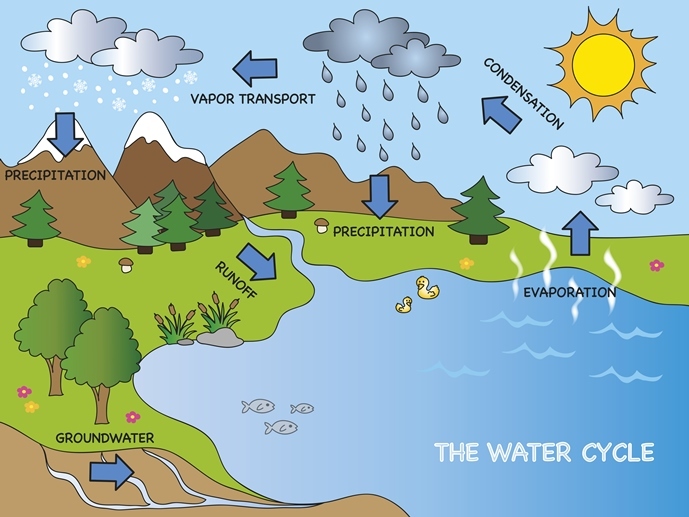 Groundwater: When water from perception soaks into the ground and collects in layers. These collections of underground water are know as aquifers. Runoff: When water does not seep into the ground but flows across the land.